Lola Joyce on Just Stop Talking! billy H on Just Stop Talking! admin on Just Stop Talking! Jane S on Just Stop Talking! Connie Havens on Just Stop Talking! Seriously? Probably the first thing that comes to your mind when you see the title. B-Dazzler. Who uses that? Apparently, my mother and daughters. MK is learning early that when working with Nana, safety is always a priority. 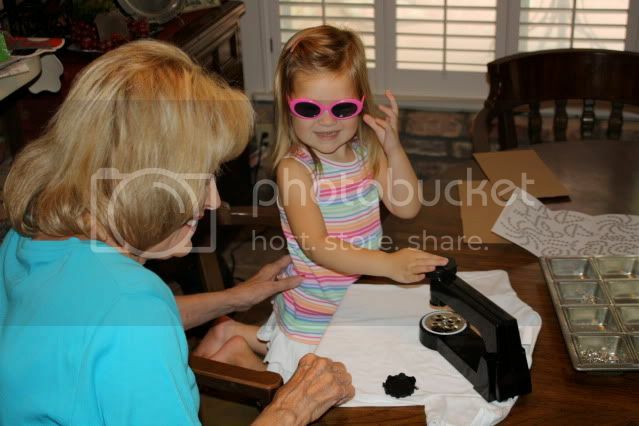 She’s also learning that Nana’s idea of safety goggles might be a little left of center. What a wonderful, fun filled Mother’s Day I had with all of you! Decorating t-shirts with the girls made it even more special. I love my 3 sons dearly and all the activities that went along with raising 3 boys, but it is really fun to get to do all these “girly” things.